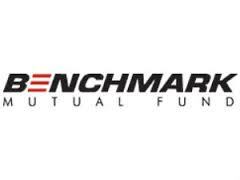 After a long wait for a Gold ETF, Benchmark Mutual Fund has finally launched India’s first Gold Exchanged Traded Fund, Gold BeES. This open-ended fund will track domestic prices of gold through investments in physical gold, and will be listed on the NSE. The NFO period is from February 15 to February 23, 2007. The minimum investment is Rs.10,000 and in multiples of Rs.1,000 thereafter. The units shall be allotted within 30 days from the date of the closure of the new fund offer. For investments between Rs 10,000 to Rs 49.99 lakh, the entry load would be 1.5 per cent; between Rs 50 lakh to Rs 1.99 crore, the load would be 1 per cent and for investments between Rs 2 crore and Rs 4.99 crore, load would be 0.5 per cent during the new fund offer period. There is no entry load on an investment of Rs 5 crore or more. Post listing, investors can buy / sell units on the NSE. The trading lot size is one unit, which will be approximately equal to the price of one gram of gold.